Did you know there is at least one municipality in America that requires the head of household to own a gun? It’s just one of the many “gun laws” that the National Rifle Association (NRA) has pushed to enact across the nation. In fact, Thom Senzee reports on Advocate.com that there are other “crazy” gun laws – like stand your ground – that put our lives at risk. The NRA has been so effective at defeating just about every proposed gun control measure in the U.S. Senate, the House of Representatives, and in state houses across the country that it may be time to replace the term “lobbying” with a new one. The NRA and its executive director, the unyielding Wayne LaPierre, have been working hard to enact pro-gun laws. For example, according to Mother Jones, LaPierre and company are bent on bringing stand your ground laws to all 50 states. What do Missouri and Trayvon Martin’s Killer Have in Common? An online auction on the gun used to fatally shoot Trayvon Martin took place this week. Last week, the Missouri legislature passed SB 656, a stand your ground bill just like the one that let Trayvon Martin’s killer walk free in Florida. In response to the auction, Lucy McBath, mother of Jordan Davis who was killed in November 2012 at a Florida gas station during an argument over loud music (whose killer used stand your ground as part of his defense) penned this oped for the New York Daily News, exposing how both the auction of the firearm that killed Trayvon and NRA-backed stand your ground laws (and the legislators who vote for them) share the same deplorable lack of value for human life. Stand your ground laws make communities less safe by letting people shoot to kill in public places, even when they can clearly and safely walk away from danger. And now Missouri is on the verge of becoming the first state to pass a new stand your ground law since Trayvon was killed. Everytown for Gun Safety found that states with stand your ground laws have, on average, experienced a 53 percent increase in homicides deemed justifiable in the years following passage of the law, compared with a five percent decrease in states without stand your ground statutes during the same period—an increase disproportionately borne by the black community. And after Florida passed its stand your ground law, its “justifiable homicide” rate tripled. A 2012 study by researchers at Texas A&M found that stand your ground laws are associated with an increase in homicides, resulting in 600 more homicides nationwide each year. The Urban Institute also examined racial disparities in justified gun homicide rulings that involve a single shooter and victim who are strangers. The researchers found that when white shooters kill black victims, 34 percent of the resulting homicides are deemed justifiable, while only 3.3 percent of deaths are ruled justifiable when the shooter is black and the victim is white. Beyond all of that, Missouri’s SB 656 would also dismantle the state’s concealed carry permit requirement and allow people – including some violent criminals – to legally carry hidden, loaded handguns in public without a permit or any safety training. Missouri legislators passed this despite opposition from 76% of Missourians. These are all reasons why hundreds of volunteers with the Missouri chapter of Moms Demand Action for Gun Sense in America, part of Everytown for Gun Safety, have made phone calls, sent emails, met with their lawmakers and testified to defeat SB 656. The bill is now on the Governor’s desk. What Happens When People Walk Around With Guns? People Get killed. This week the Colorado legislature showed itself to still have enough members with brains to beat back the annual brain-dead attempt to ‘restore’ gun ‘rights’ to the good citizens of the Centennial State. The Colorado GVP community shot them all down. You may recall that in 2014 Colorado expanded background checks to cover private transactions, and while the pro-gun strategy this year did not include an attempt to repeal the background check law, it did include Gun Nation’s favorite gun-rights ploy; i.e., permitless concealed-carry, including on school grounds. A satirical look at what some “gun nuts” might think are the reasons for mass shootings in America. How can you even say that something this cute could possibly be responsible for something as heinous as a mass shooting??? Last week, a high-profile mass shooting in California made headlines – but by some counts, there have already been over 300 mass shootings this year alone. As always, liberals are pushing the crazy idea that the easy access to guns is causing all these shootings. But if you ask the people who know guns, and I mean, really, really know guns – own them, shoot them, spend every waking moment with them, and at night have nightmares that Obama will take them away – they will tell you that it’s not the guns that are causing these tragedies. So here are 10 actual reasons why America has so many mass shootings. Following the mass shooting in Connecticut, the Obama administration and lawmakers around the country promised to re-examine gun control in America. ProPublica decided to take a look at what’s happened legislatively in states where some of the worst shootings in recent U.S. history have occurred to see what effect, if any, those events had on gun laws. While legislators in Virginia, Alabama, Arizona, New York, Texas and Colorado sometimes contemplated tightening rules after rampage shootings, few measures gained passage. In fact, several states have made it easier to buy more guns and take them to more places. 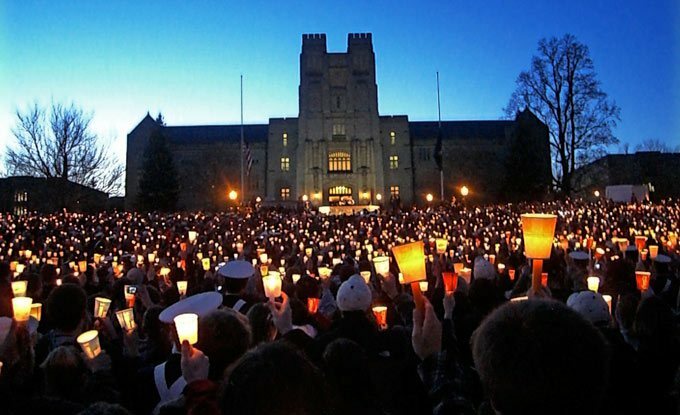 Virginia: After 23-year-old Virginia Tech student Seung Hui Cho killed 32 students and faculty members at the university in April 2007, then-Gov. Tim Kaine assigned a blue-ribbon task force to examine gun policies in the state. The task force made dozens of recommendations that, among other things, suggested that the state intensify background checks for gun purchasers, and ban firearm possession on college campuses. None of the recommendations became law. The most significant change in Virginia came two weeks after the shooting when Kaine signed an executive order requiring the names of all people involuntarily committed to mental health facilities to be provided to a federal database called the National Instant Criminal Background Check System, or NICS. Licensed gun dealers are supposed to check the database before they sell anyone a gun. President George W. Bush subsequently signed federal legislation requiring all states to submit their mental health records to NICS, but to gain the support of the NRA, Congress agreed to two concessions. It made changes to the way the government defined who was “mentally defective,” excluding people, for example, who had been “fully released or discharged” from mandatory treatment. The law also gave mentally ill people an avenue for restoring their gun rights if they could prove to a court that they had been rehabilitated. After the law passed, the NRA pushed state lawmakers to limit roadblocks for people applying to regain their rights. Virginia is particularly open to restoring peoples’ gun rights. A 2011 New York Times investigation found that the restoration process in the state allowed some people to regain access to guns simply by writing a letter to the state. Others were permitted to carry guns just weeks or months after being hospitalized for psychiatric treatment. In 2012, the Virginia state legislature repealed a law that had barred people from buying more than one handgun per month , a law put in place because so many guns purchased in Virginia were later used in crimes committed in states with more restrictions. The legislature also has made several changes to its gun permitting process. In March, 2012 the state eliminated municipalities’ ability to require fingerprints as part of a concealed weapon permit application. The state used to require gun owners to undergo training with a certified instructor in order to get permits, but in 2009 it adopted a law allowing people to take an hour-long online test instead. Since Virginia adopted the law, the number of concealed handgun permits the state has issued increased dramatically and many of the permits were issued to people who live in other states where Virginia permits are accepted. In 2010, Virginia became one of five states to allow permit holders to carry concealed and loaded weapons into bars and restaurants. Alabama: In Alabama, gun control advocates have won two small legislative victories since March 2009, when 28-year-old sausage plant worker Michael McLendon went on a three-town shooting spree, killing 10 people. Arizona: After former U.S. Rep. Gabrielle Giffords, D-Ariz., was shot in the head in a hail of bullets that killed six and wounded 13, a bill was introduced in the state legislature to limit gun magazines to 10 bullets, but the bill failed in the face of pressure from the gun lobby. A similar bill was proposed in Connecticut in 2012; it didn’t pass either. In March 2012, Arizona Gov. Jan Brewer signed a bill with the opposite effect, forbidding the Arizona Game and Fish Commission from limiting magazine capacity for any gun approved for hunting. Arizona doesn’t require a license to carry a concealed firearm in public, nor does it limit the number of firearms that someone can buy at once. New York: After a mass shooting at an immigration services center in Binghamton, N.Y., where 13 people were killed and four were wounded, the state assembly entertained several bills on gun control. None passed. One bill would have given police more control over records related to firearm sales. Another would have banned 50-caliber weapons and allowed people to turn them into the state in exchange for fair market value. Perhaps the most controversial bill in the package would have required the use of a technology called microstamping on all bullets sold in the state. Using this technology, a serial number could be stamped on bullet casings so they could be traced back to a particular gun. The gun industry argued that the technology would be too expensive and was still unproven. Some gun manufacturers were so upset by it that they threatened to leave the state. The bill passed the Assembly in June, but the Senate did not vote on it. In January 2012, the legislature repealed a law that previously required handgun manufacturers and dealers to share information about bullet casings and ballistics with the state. Critics of the law said the database used to maintain the information cost too much and didn’t help police. Texas: There’s been no effort to tighten gun control in Texas since Army Maj. Nidal Hasan, 39, killed 13 and wounded 32 at a military processing center at Fort Hood in 2009. In 2011, legislators passed two bills that gave gun carriers greater freedom to take their weapons to more places. One bill restricted employers from prohibiting guns from vehicles in parking areas and another allowed foster parents to carry handguns while transporting their foster children, as long as they are licensed carriers. 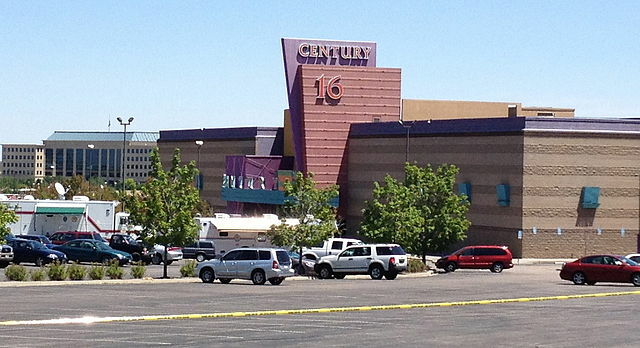 Colorado: Aurora graduate student James Eagan Holmes, 24, killed 12 and wounded 58 in a movie theater in July, 2012. At the time, Colorado Gov. John Hickenlooper suggested that families of victims needed time to grieve before a discussion on gun control could begin in the state. After the Connecticut shooting, Hickenlooper said that “the time is right” for the state to consider stronger gun control legislation. He introduced a measure to strengthen background checks for gun buyers. This article, by Joaquin Sapien, was originally published on ProPublica, Jan. 3, 2013. ProPublica is a Pulitzer Prize-winning investigative newsroom. Sign up for their newsletter. At a hearing on last Thursday, Florida lawmakers gave some young people a slap in the face, voting 11-2 against a bill calling for a full repeal of the state’s stand your ground law. The Florida House of Representatives also gave some attendees the impression they had come into the hearing with their minds already made up that they would shoot down SB 4003, a bill introduced by State Representative Alan Williams (D-Tallahassee). The lawmakers questioned Williams at length during the five-hour hearing, with much grilling coming from Chairman Matt Gaetz, who sometimes appeared to try to ridicule Williams’ attempts to sell the bill. Gaetz has been infamously quoted as saying he will not change “one damn comma” of Florida’s stand your ground law. Williams insisted that his bill would simply cause the state’s current self-defense law to revert to its original form, what he called “common law” that existed before the 2005 legislation which enacted stand your ground law. Gaetz used the opportunity draw an analogy between stand your ground with Williams’ common law, referring to the two as “buckets of laws”, one with more self-defense rights (stand your ground), and the other with less rights. He questioned which would be more preferable to someone who had the urgency to defend themselves. The Webster Room in Florida’s Capitol was almost filled to capacity with about an equal amount of polarized HB 4003 proponents like the Dream Defenders, and opponents like NRA members occupying opposite sides of the room. “Remember November” were the words used by Dream Defenders leader Philip Agnew as he spoke at the hearing. He was referring to next year’s state elections, when legislators seeking re-election face this new young breed of voters. Teenagers as young as 14 years-old spoke in favor of a repeal. The lawmakers also heard from Lucia Mcbath, mother of stand your ground victim Jordan Davis, as she made another impassioned plea calling for changes in the law. She had appeared days earlier at a U.S. Senate hearing on stand your ground. Ron Davis, the teenager’s father, also called for changes, and the House heard from attorney Daryl Parks, representing Sybrina Fulton & Tracy Martin, parents of Trayvon Martin, who were not at the hearing. Gun advocate Marion Hammer, a past president of the NRA, made a short statement, purporting that “stand your ground is a good law”, and many other gun advocates spoke out against the repeal bill, or waived their chance to speak in opposition. The Second Amendment Explained: 2nd Amendment Facts Gun Nuts Overlook.